It has taken me two weeks to decide which other challenges I would join for next year, but finally I have come to decision. I have tried to go for lots of shorter challenges rather than concentrating on longer ones, that way I get a real variety of books to read. The first one I have chosen is Our Mutual Read, A Victorian Challenge. As I am really getting into Victorian Gothic novels and that whole era, I thought this was an ideal challenge for me. This one is organised by Amanda and can be found here. This runs from January 1st to December 31st 2010 and is set at three different levels. I am going to do Level 2 which involves reading 8 books, of which at least 4 should be written during 1837 - 1901. The other 4 books may be Neo-Victorian or non-fiction. The second challenge I intend to participate in is Take a Chance Challenge which is being hosted by Jenners at Find Your Next Book Here blog. 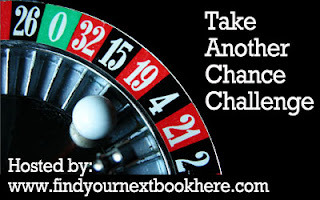 There are lots of different reading activities you need to complete and I am aiming at the Gambling It All Level which requires me to complete all 12 of the challenges If you click here, you will see the list of challenges I hope to complete and earn points with. The third challenge I am hoping to complete in one that is dear to my heart and one I really enjoyed completing last year. With so many libraries closing down, it is really important to support you local library, so I am happy to get some of my books from there. 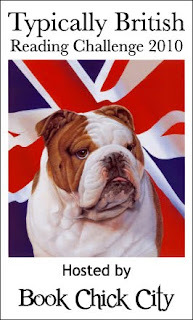 This challenge is hosted by J.Kaye who runs some fantastic challenges which can be found here. As I have been bought so many books this year and my book shelf is bursting at it seams, I will only be committing to the Mini challenge where I have to read 25 books, but if I complete that easily I may upgrade it to 50. 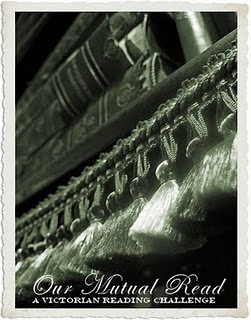 I couldn't resist this one as it is hosted by the lovely book bloggers Nymeth and Chris. This is the Graphic Novels Challenge where I have committed to reading up to 10 graphic novels throughout next year, which is the Intermediate challenge. I may need some help with this one, as I am new to graphic novels, so any suggestions would be lovely. This challenge is hosted by Beth Fish Reads and is an interesting one which I think I will be able to complete. You will find all the rules and details of the challenge here. I am committing to reading six books with different words in the title. I thought this might be a fun one to enter and it starts in January and runs all the way through to December. My last challenge(at the moment) for next year is a Typically British Challenge hosted by Book Chick City. Being a Brit, it would be wrong of me not to support the British writers, so I am going for the highest level in this one. I am going to do the Cream Crackered level and read 8 books by British authors. So there you have it, another six challenges entered and December hasn't even left the building! I am not going to list the books that I plan to read for these, because quite frankly, I haven't had time to decide what they will be. I cannot guarantee that I won't enter any more because I have no will power at all, books are a bit like chocolate and red wine to me. I have entered 10 challenges altogether, but they are quite short ones, so I should complete them by the end of the year. If you hear of any other good challenges that I might like, then do leave me a message and I will check them out. I hope to get back on here before the end of the year and write a list of my favourite reads, as well as a quick review post of the last three books that I have read this year, that way I can start the new year afresh. We are just so busy with visitors at the moment, that my time is really limited, so forgive me if I don't make it back. Oh those all sound so fun! I am definitely joining Nymeth's challenge but am tempted by some of these. I've been saying that I won't join many next year but I have no will power either! Have fun with the challenges and I'm looking forward to reading your favorite reads list. Viv I'm so surprised you haven't read the Dresden books they are by Jim Butcher. I think the first one is Storm Front :) I'm still working my way through them, they are very addictive. Good luck (not that you'll need it) on all your challenges! Thanks for those suggestions Caitlin, I shall add them to my list. Illiana - I am removing willpower from my vocabulary. I just cannot resist. Carmen - it is madness isn't it. I have only seen the programme. I shall add Jim Butcher to my list. So many good books,so little time. Wow. Tons of challenges. I'm going REALLY light this year, and still I think I've overbooked myself. 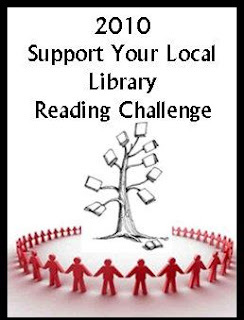 Welcome to the Support Your Local Library Reading Challenge. I don’t know about you, but I’m looking forward to 2010. I think it’s going to be an exciting year of reading! Good luck with these challenges Viv. I've joined a few of the same as well. Good luck with all your challenges. I think I may have overdid it with all the ones I've signed up for. 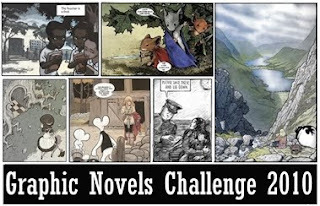 For the graphic novels challenge try, Persepolis by Marjane Satrapi, We Are On Our Own by Miriam Katin, Stitches by David Small, Maus by Art Spiegelman, The Bone series by Jeff Smith, and/or The Fables series by Bill Willingham. Good luck on all your challenges! I like your selection of challenges! You've got a really nice variety. Wow, Vivienne! Some of these challenges are just way too difficult for me! Good luck completing them! And don't forget to have fun! 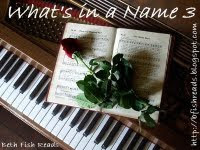 Welcome to the What's in a Name Challenge! We're in a several challenges togeher -- good luck with them all. Ambitious of you, I'm still recovering from my first book challenge and it was only three books long. The Library Challenge sounds good and, as you say, very worthwhile. Best wishes for 2010 Vivienne. I'm glad you decided to be brave and gamble it all! !